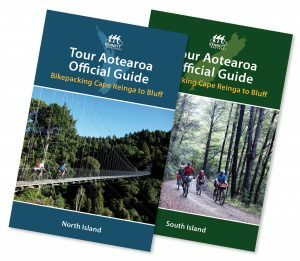 Natural High offers a range of cycling guides to touring, mountain biking and New Zealand’s new network of cycle ways, to help you get the most out of your New Zealand cycle adventure. 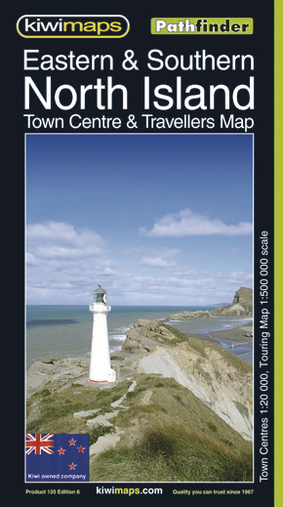 We also have some great maps and atlases produced locally by Christchurch based company Kiwimaps. We think the best maps to tour with are those published at 1:250,000 and have all the rural roads named, as well as showing some elevation detail, geographical features, campsites and points of interest. 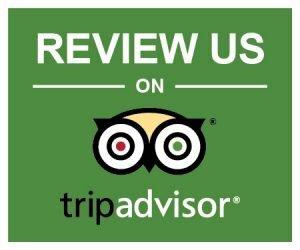 We can post them to you, so you can start planning your tour immediately. PLEASE NOTE if you choose to use untracked postage we take no responsibility for undelivered items. Our recommendation is to use tracked postage. Ask us for postage pricing. Check out our list below and contact us if you have any questions. All prices are in New Zealand dollars ($) and include GST. 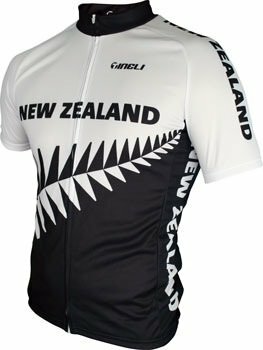 By Kennett Brothers Tour Aotrearoa is a 3,000km bike odyssey spanning the length of New Zealand. This two volume set provides riders with step-by-step instructions, route maps and insider tips on how to cycle from Cape Reinga down to Bluff. An inspirational coffee table book that showcases the 3000-kilometre bikepacking journey from Cape Reinga to Bluff. By Kennett Brothers. 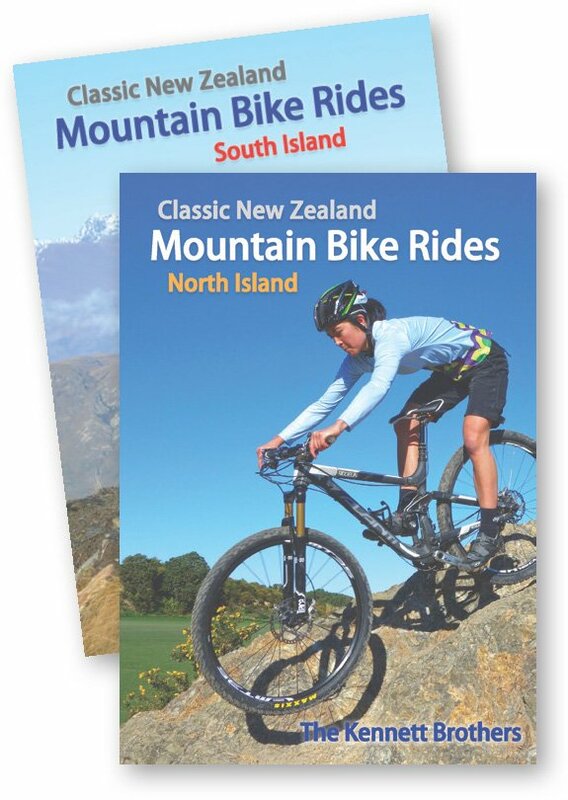 Published by New Zealand’s Guru’s of mountain biking, the Kennett Brothers guide includes all the essential information needed to take you to the most exhilarating MTB rides around the county. With easy to read directions, elevation charts, maps, distances, times and grades, if it’s worth biking, it’s in these books! 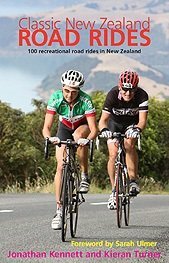 By the Kennett Brothers, the Classic New Zealand Cycle Trails guides you to the very best biking holidays this stunning little country has to offer. It includes full ride descriptions for 46 fabulous trips, including maps and elevation charts plus valuable tips for everyone from beginner riders through to seasoned veterans. 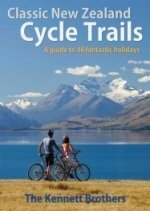 This book provides everything you’ll need to choose a trip that best suits your favoured style of riding. The hills, the flats, the scenery, quiet roads and infamous traffic hot spots – if it’s important, you’ll find the details here. 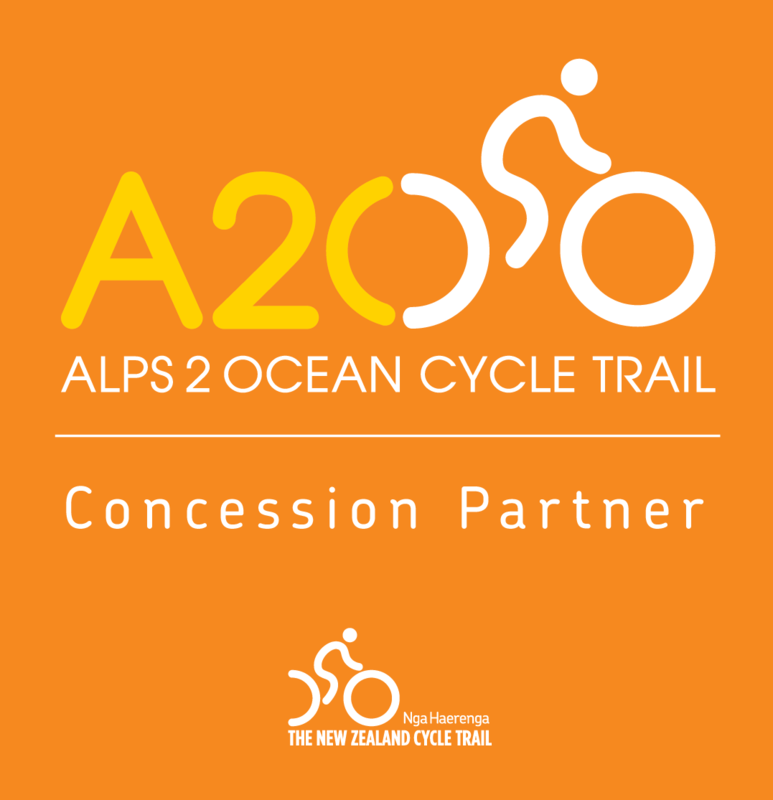 Full ride descriptions, along with route maps and altitude graphs are provides for three or four classic rides within each region. The authors have also provided Tour de France climb categories, annual average daily traffic volumes (AADT), as well as café stops along the ride. 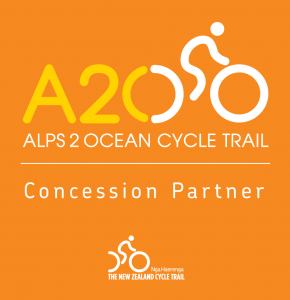 These well researched rides are a great way to combine experiencing the natural beauty of New Zealand with the joy of biking – what could be better! Cyclist and researcher Claudia Harfst has put together a fantastic resource on the North Island’s Great Rides. 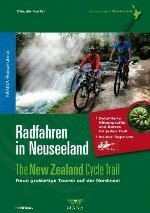 The German edition of this volume presents the 9 new trails on the North Island, spanning 1,141 kms altogether and running through some of New Zealand’s most iconic scenery.Carefully researched details and stories of encounters with hospitable local people make this cycling guidebook an informative and pleasant companion. A4 spiral bound atlas, 1:500,000 scale. Includes campsites, motorhome and touring information, as well as maps of main city and town centres. One atlas for each Island – these spiral bound A4 atlases gives the best 1:250,000 detail for road touring and cycling. Includes campsites, motorhome and touring information, as well as maps of main city and town centres. A handy sized A5 spiral bound atlas, covering all the main roads in NZ in 54 pages with 10 City and town centre maps. A set of 4 folded sheet maps of NZ at 1:500,000 scale, showing detailed rural road information, elevation, geographical features, conservation areas, walkways, points of interest and campsites. Town centres 1:20,000 scale. 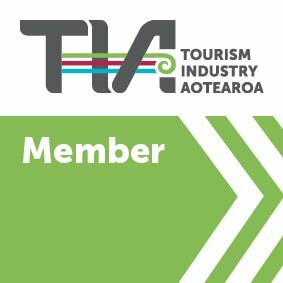 The 4 maps available: Northern & Central North Island, Eastern & Southern North Island, Northern & Central South Island, Central & Southern South Island. A set of 17 folded sheet maps of NZ at 1:250,000 scale, showing detailed rural road information, elevation, geographical features, conservation areas, walkways, points of interest and campsites. 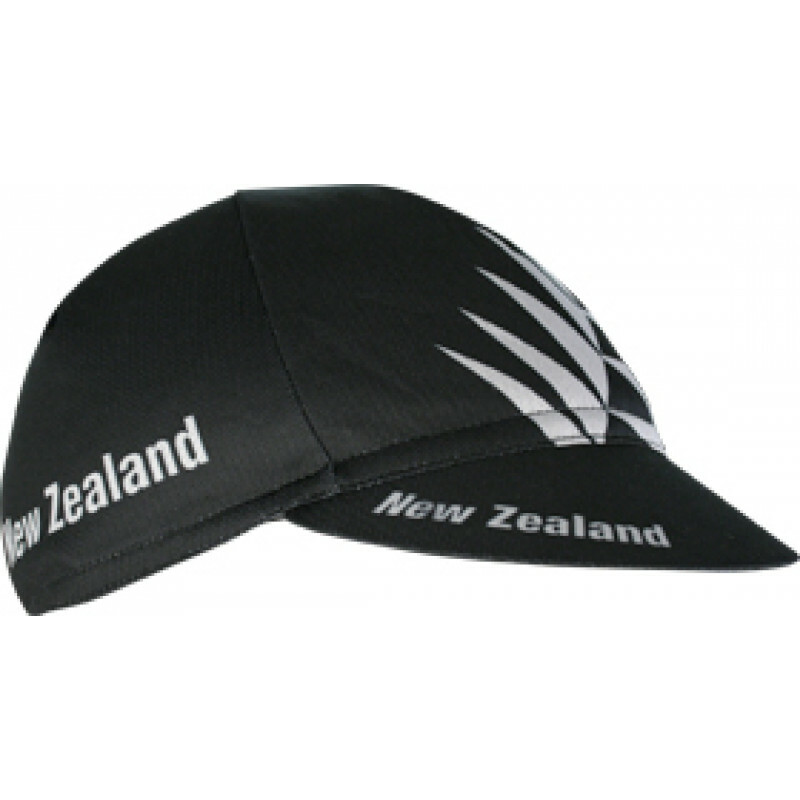 Want to take home a great souvenir of your cycle adventure in New Zealand? 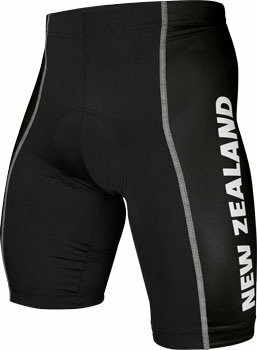 Or want to buy some comfortable and quick drying clothing to wear on your bike journey? 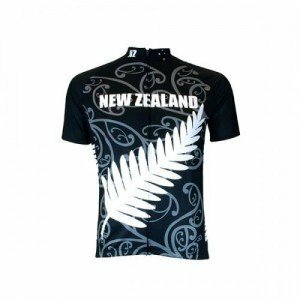 We stock a great range of NZ cycle jerseys, shorts and Natural High T-shirts, all at fantastic prices! We can send them to you wherever you are in the world – contact us for postage pricing and to place an order. High Tech moisture transfer fabric, special tetra channel fibres quickly move sweat away from the skin, YKK full length zip at front, silicone gripper elastic at hem, 3 rear pockets. Full length zip, three pockets, made in high tech quick dry fabric with UPF15-25. 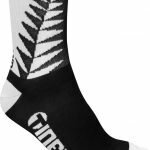 New Zealand gloves. No straps or texture to create drag. Terry thumb sweat band. Low bulk palm padding. 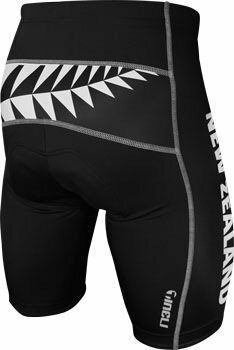 Great looking New Zealand replica/souvenir shorts. Made in 240gsm lycra and featuring contour chamois and silicone leg gripper. 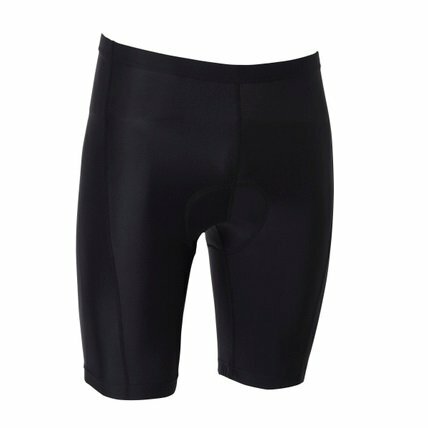 8 Panel construction with back yoke, high performance sports fabric fits and moves with your body without restriction, 4 Way stretch seamless chamois with maximum absorption of shock and pressure, flatlocked seams, reflective graphics at back leg hem for increased visibility, silicone gripper elastic at hem. 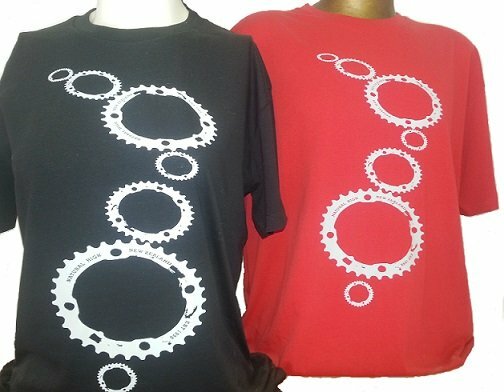 100% Cotton T-shirts with our own unique New Zealand chain ring design – a great momento of your cycle holiday to NZ. Bike Buddie has been designed in New Zealand and is the most stable and safest way to carry a child passenger with the child riding upfront and really getting involved with the cycling. The Bike Buddie suitable for Mountain Bikes, Road or Commuter bikes. Strong and lightweight – Aluminium construction. On road or Off Road. 1-minute installation – No Tools needed. Soft clamping surface to protect your bike. Comfortable seat design. Sturdy foot supports. Supports 30Kgs. Adjustable design – Fits almost any bike frame. Most airlines or bus companies prefer you to have your bike boxed or in a bag when travelling with a bike. 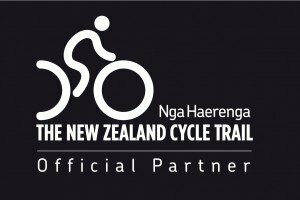 We sell cardboard bike cartons for NZ$15 and Vaude bike bags for NZ$129 which make travelling easy with a bike either within New Zealand or when going overseas. We also offer a bike assembly and disassembly service in our Auckland or Christchurch branches, contact us for details.